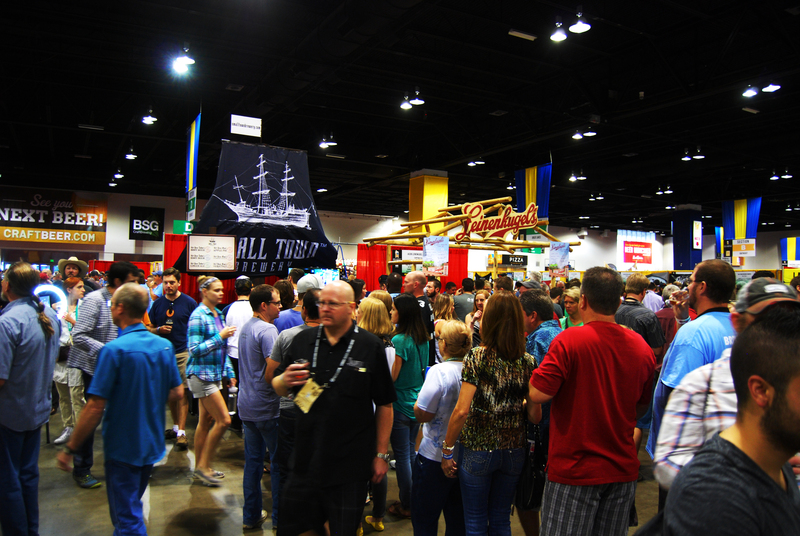 Always a fun and drunken time, the 2015 Great American Beer Festival provides any beer fan with the opportunity to try beers from all across the United States in one room. 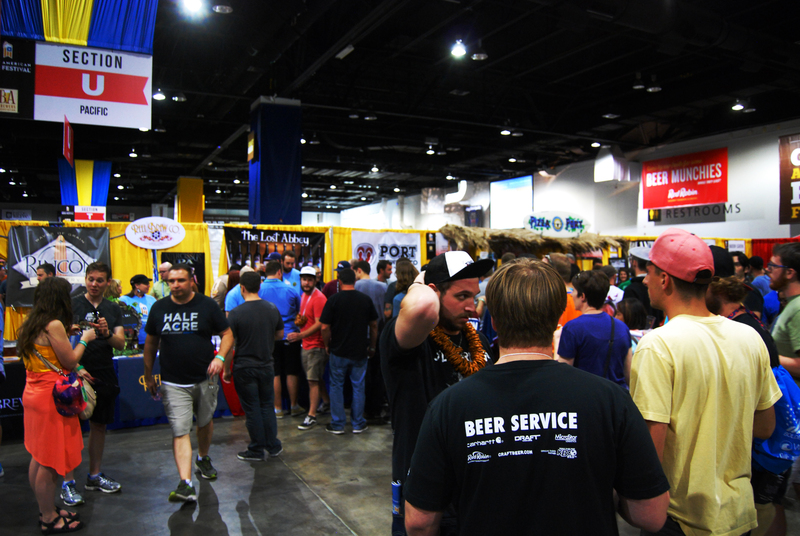 While that room is usually skewered towards the western part of the United States (not including the Meet the Brewer and Brewpubs sections, 9 of the 22 tables were from the Mountain and Pacific regions, with only one from New England), it is still a microcosm of the current state and trends of craft beer as a whole. So what stood out? 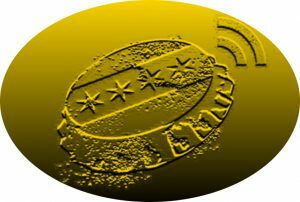 Each category will have a Gold, Silver and Bronze, just like the Brewers Association (but mine are ABV medals!). Dude’s ready for a war – against drunkenness. Four of them in total, I was fortunate enough to receive their “blessing.” They did have problems at the Funky Buddha booth, though. I first thought they were just festival goers, but I talked to them and headed to their booth to find out their entire crew was decked out in these impressive smoking jackets with ascots. I’m still laughing. 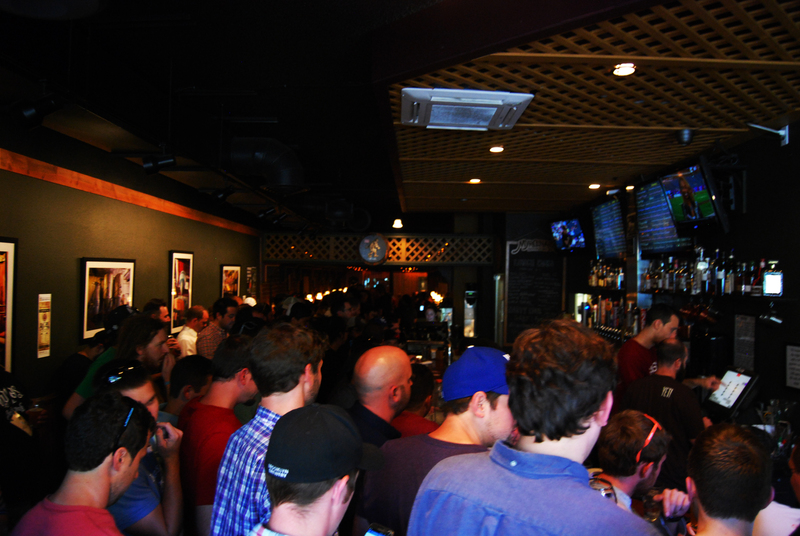 I was only able to go to one – the Casey Brewing one on Saturday afternoon. Otherwise every attempt I made to get in was met with a line, usually a very long line. 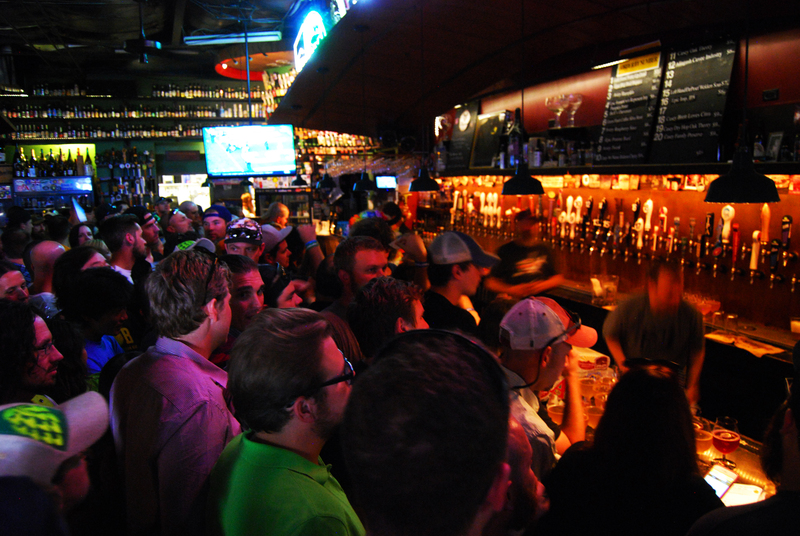 Once in, it was a mosh pit to get to the front of the bar and order. 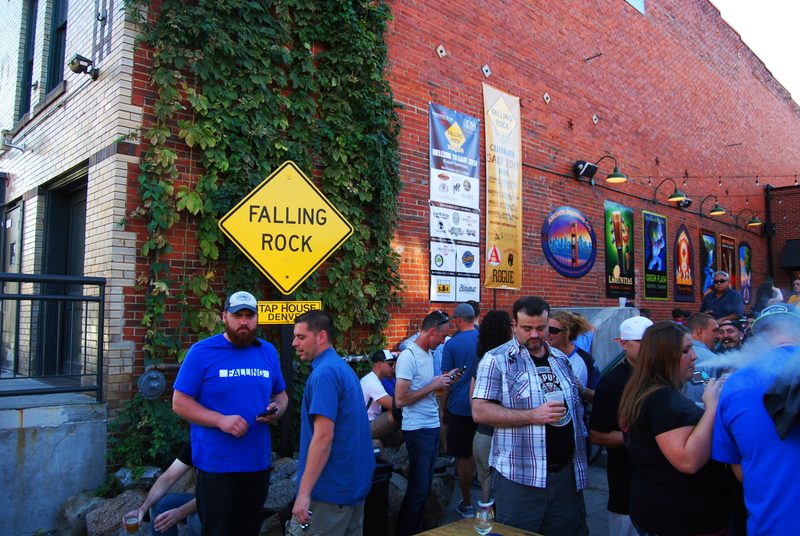 There are so many events and tap takeovers that going to Falling Rock for one just isn’t optimal. 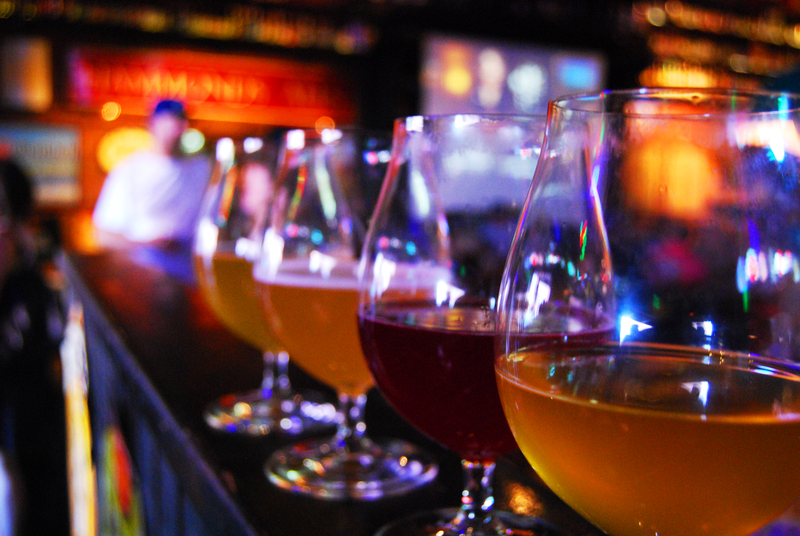 Falling Rock is a destination bar in the United States, just try to go when GABF isn’t in town. Or early in the day when everyone else is hungover. Needless to say, we didn’t get the Derivation, but we did get the Family Preserve and enjoyed as many Side Project and Casey beers on draft before we headed off to GABF. 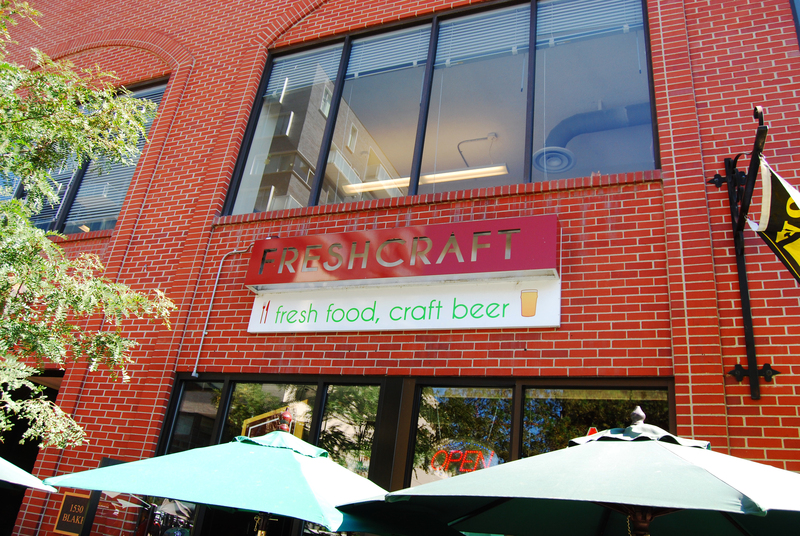 I can’t comment on how it was inside Freshcraft, but with none of the taps kicking quickly and the delicious food, I’ll definitely be back again next year (but this time at the bar!). Wow. 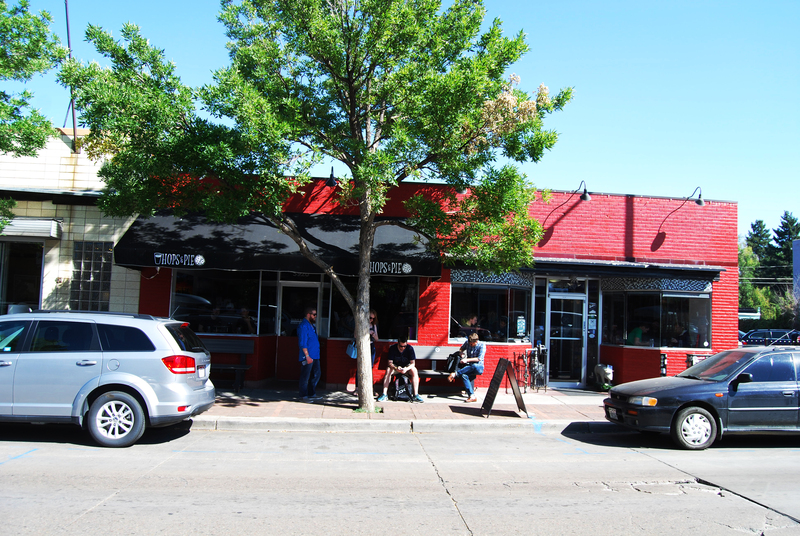 Not only did they have one of Casey’s Cut beers (Montmorency Cherry) on tap – in addition to at least 5 other Casey beers – but the rest of the tap list was worth the relatively far trek from downtown Denver. While I swigged Casey beers, Ryan was content to order hoppy things from Societie, Comrade and Lord Hobo, along with a Russian River Temptation and Fremont Bourbon Abominable. This was one of the best tap lists I’ve seen. Casey Montmorency Cut and Apricot Fruit Stand. Add that to the great pizza, unbelievable cheesy garlic bread appetizers, and our very knowledgeable, funny, and all-around great server Justin (who lived in Chicago and briefly worked at Rock Bottom when FOBAB was just getting started) and you have me coming back next year. It was my first time there and I was impressed. Very Impressed. 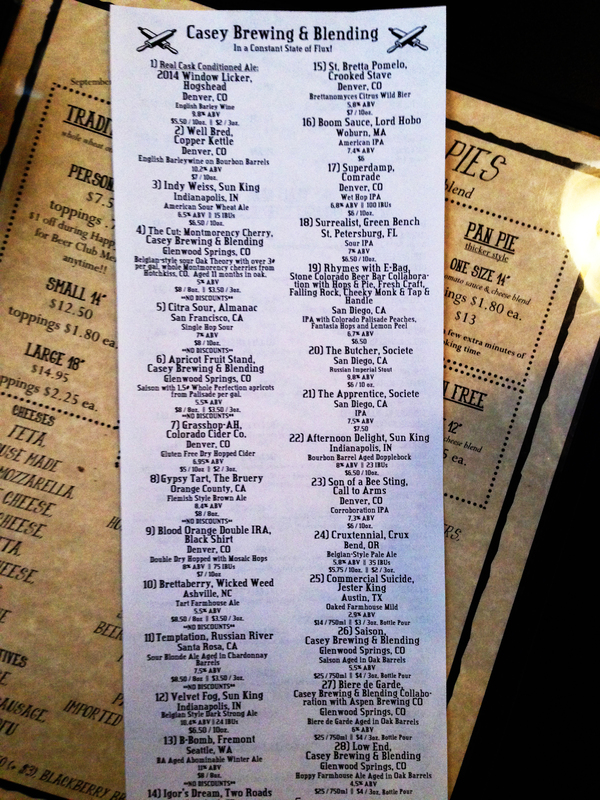 The stupid good tap list for at Hops and Pie. 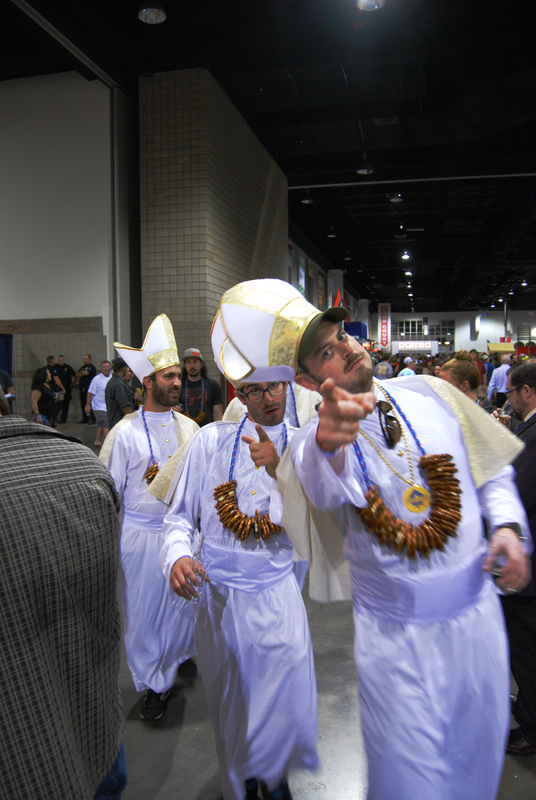 Too bad I had to go to GABF that day! New Glarus, being only available in Wisconsin, always draws a crowd at festivals (even those in Wisconsin! ), but when they bring their last two R&D beers (Vintage 2014 gueuze and Bourbon Barrel Bramble Berry), their upcoming R&D release (bronze medal winning 2015 Golden Ale), and the yet-to-be-released Vintage 2015, it had all the makings of a catastrophe. Thankfully the volunteers working the New Glarus booth did a tremendous job pouring, moving the line quickly and thereby not causing any serious traffic flow problem. Consistently running the width between two Meet the Brewer sections (W and X), the Funky Buddha line was not as efficient as the New Glarus line (potentially due to people chatting with the staff), but it still moved quickly and didn’t interrupt the flow of the section. Plus it was surrounded by Ratio Beerworks, Rahr & Sons, and Fremont, so you could duck out of line, get a pour – virtually no line at all 3 – and get back into line. First of all, The Rare Barrel was at the back end of the back section, so their line made zero impact on the flow of traffic (you could just hit the wall, walk along it and get through fine). This line, though, moved lightning fast. Case in point: I got in line, moved a bit, then ducked out to get a pour or two at Woods Beer Co. and Woodfour Brewing. Upon returning to the general area where I left, I couldn’t find anyone from my group. They were about 4 people from the front. Big ups to the volunteers at the Rare Barrel table. Wow. Stationed right across each other in the Meet the Brewers section, this area was two giant mobs with barely a semblance of line. Crossing was difficult, and if Jim Koch was there or they were pouring Utopias (which I think they did, but I wasn’t about to brave the mob), forget it. Tons of people hitting up the Goose Island booth for the sisters and Vanilla Rye? Yeah, that was to be expected. 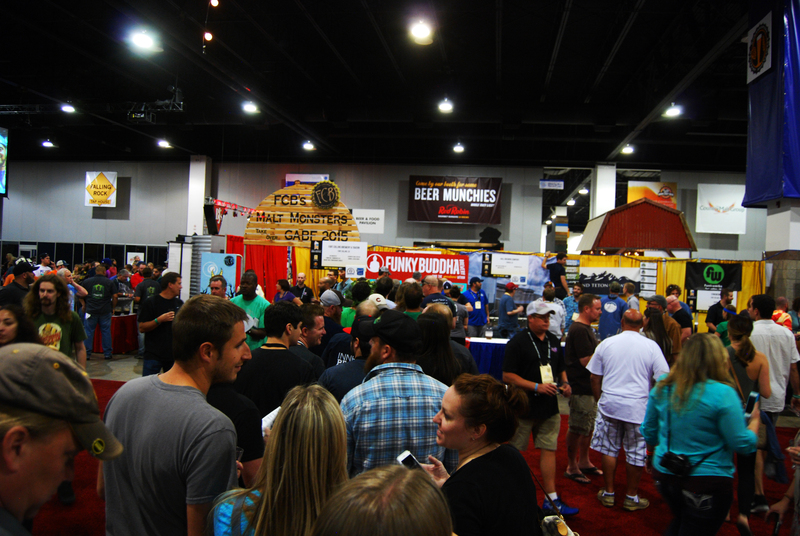 The mass of humanity in front of Small Town Brewery’s booth, however, was not. I guess people wanted to try the 10.7% root beer, along with their extremely sweet versions of a ginger ale, strawberry rhubarb, and apple pie. While stationed kitty-corner from each other, each line went back at least 75% of the way to the opposite booth, leading to a lovely blockade that took major work to get across. Total avoid. Lost Abbey line, your reward for making it through the Bruery and Russian River lines. Three very well known California breweries that are all bringing non-distributed, sought-after beer? What could possibly go wrong? Holy hell. 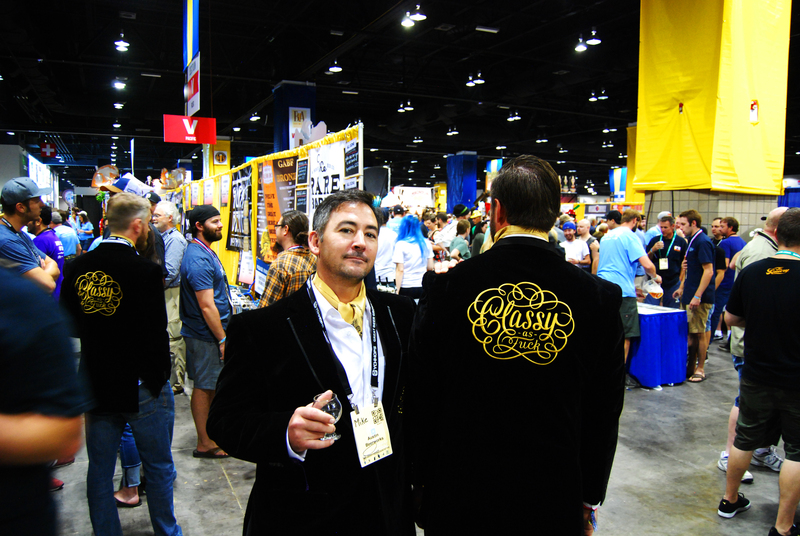 The Bruery booth wasn’t too bad, that is until they were timed tapping Black Tuesday or Grey Monday. You know what timed tappings lead to? LINES. Mix that in with a massive line, both in width (at least 5 wide) and length for Russian River that arced into the Bruery line and you get a lambda to deal with, making it really unattractive to pass through. Brave this area and cross the Russian River line and you’re greeted by the Lost Abbey line, ostensibly for Veritas 15, which was so long it ran into the booths across the aisle, then turned TOWARD the Russian River line. The reward for successfully navigating this area was nice (Churchill’s Finest Hour from Port Brewing and Amend This from Taps), but hit the wall, dodge the Rare Barrel line, and come out clean on the other side. God was it awful in that area. While getting much, much better, talking to the rep or pourer, especially in the Meet the Brewer section, really gums up the line. 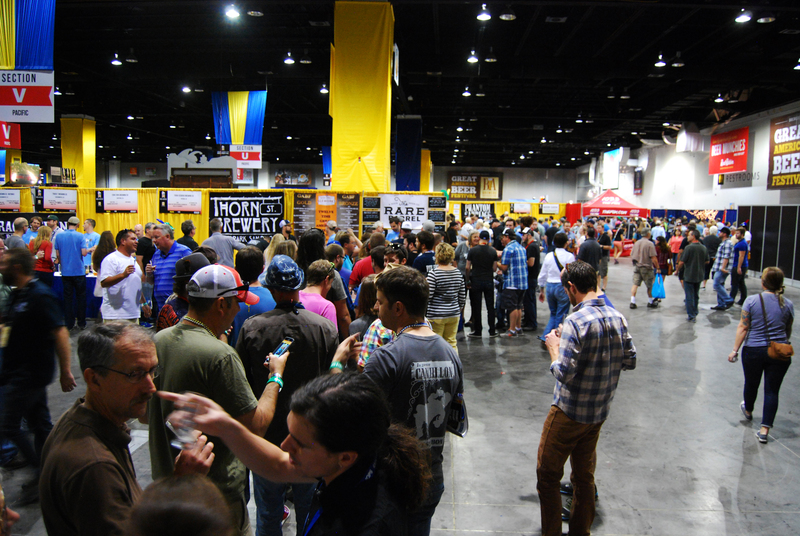 It happened all the time at last year’s FOBAB, leading to massive aisle congestion. 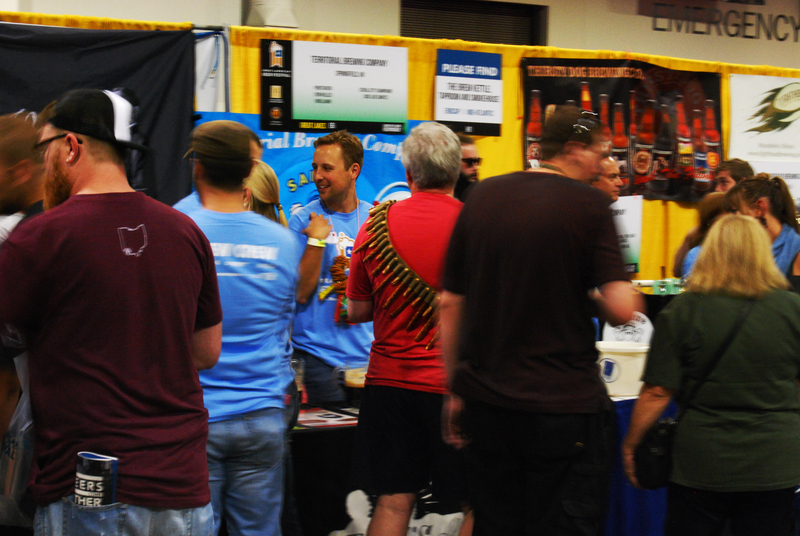 I like to talk to brewers as well; just get your pour, take a step or two either way and continue your conversation. It’s so simple. You still get to converse, and everyone else gets their pour. This has the potential to be disastrous . Ryan was counting, and we got no less than 7 babies at the event. This isn’t a case of whether the parent/parents can handle it or not, but should they even try. I can foresee spills all over baby’s head, as well as fights breaking out when someone accidentally bumps into the kid. Thankfully I didn’t see either happen. Splurge for the babysitter and leave the kid at home. It’s funny the first time. By the 30th time, it just gets tiresome. It kind of makes sense for the members session with the glass – alerting staff where the break is – but for the plastic cup that’s in 3 of the 4 sessions, it just gets old. Friday was the worst, with what seemed like 10 an hour. If you need proof, just listen to our interviews, which were mostly done on Friday. Solution: carpeting! 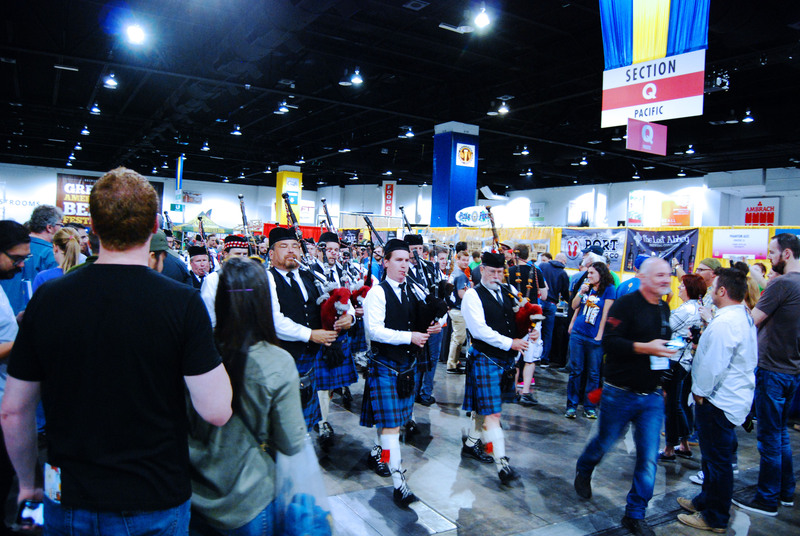 The second entrance, right behind the Meet the Brewer section, allowed for a previously unused portion of the hall to be used as a queue of sorts, getting people all set to go and in line before time, and then letting them in at the entrance time. Worked well to ease the congestion of the main entrance and people got in much, much faster. I was skeptical of this section, but it worked extremely well. Off to the side, in the additional space added from last year, were four sections, all staffed by brewery staff at all times. While you might not be getting your pour from the head brewer or a brewer at all, talking with someone who knew about the brewery was a major plus. There were virtually no lines (save for Funky Buddha and the Boulevard/Sam Adams mess) and the space in-between the aisle was increased over the main hall. A welcome addition that I hope stays. Plus, it was carpeted! Were there bathroom lines? Yes, but there didn’t need to be. The smoking section opposite the Meet the Brewer section was lined with port-o-potties. I didn’t wait in one line while out there. The gold (get it?) standard for bathrooms at a beer event. Ignored by me mainly due to it being a Chicago brewery, Ryan got a pour of it while waiting in the New Glarus line. Having never had XOCOLATL (a collaboration between Rick Bayless and then GI brewpub/ now Moody Tongue brewer Jared Rouben), I’d imagine that this is what it tasted like. Toffee and caramel sweetness from the barleywine, mixed with a healthy amount of chocolate and a touch of bourbon barrel heat made this a clear winner. Probably the best beer I’ve had from Moody Tongue, and we were told it would be bottled. Having brewed our consensus favorite from last year, A Night to End All Dawns, Kane was one of the first places we hit on Thursday. That lovely cocoa powdered, barrel aged beer gave way to something with too much heat and lacking that lovely cocoa powder taste. Upon going back to the Kane booth to contemplate a second pour of it, I instead chose Cortijo, a tequila barrel aged saison with agave. It had just the right amount of heat mixed perfectly with the base saison. Between this and Jester King/West Lakeview Liquors’ Encendia, I’m quickly looking out for tequila barrel aged beers. After two days of drinking as many IPAs, DIPAs, stouts, and sours as I could, I decided to go around getting Pilseners on the third day. It helped that awards had just been handed out, so I could get the top 3. While Amend This!, a pre-prohibition style Pilsener from TAPS Fish House & Brewery, got the bronze, I couldn’t stop thinking about this crisp and refreshing brew and went back for repeated pours. A lovely example of the style and one I would gladly drink again and again. Glad I went on a pils kick! 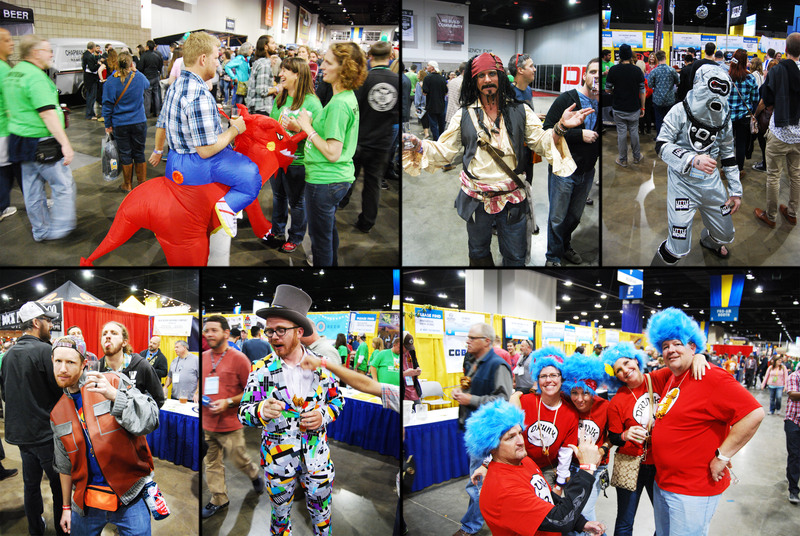 While the booths are not as crazy as the Great Taste of the Midwest, there are still some impressive ones. 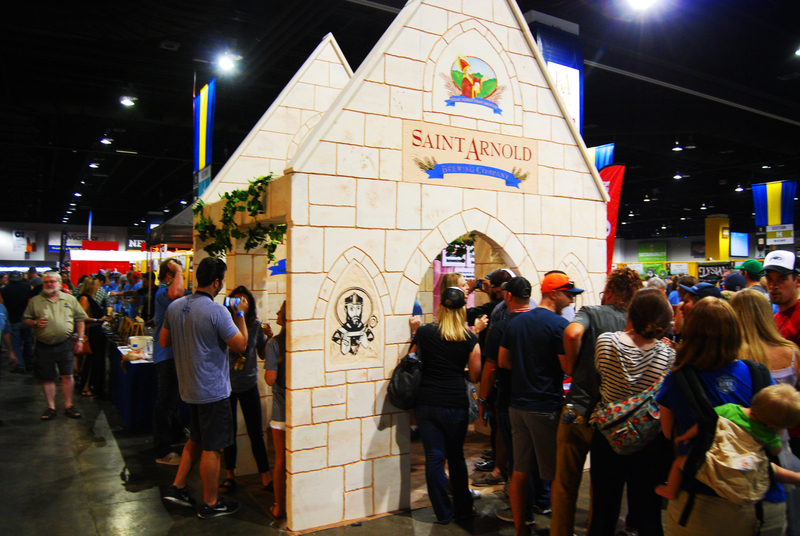 It was the return of the chapel from last year, with the exact same booth layout, location, and concept – marrying people. So why was it third? Simple – they should’ve been divorcing people! 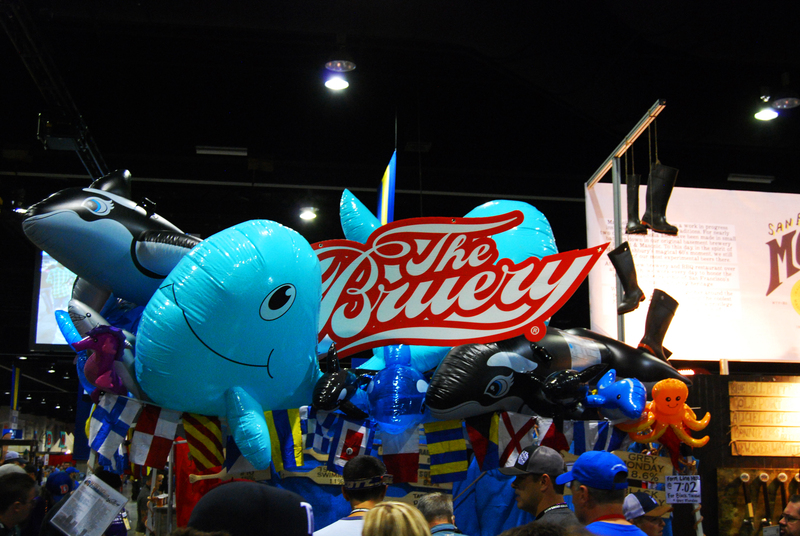 A lovely beach theme, with inflatable animals, captains hats, and even a shark working the booth! (see pic). It would’ve been nice to have some giveaways, like sunglasses, but it was a fun booth to look at. 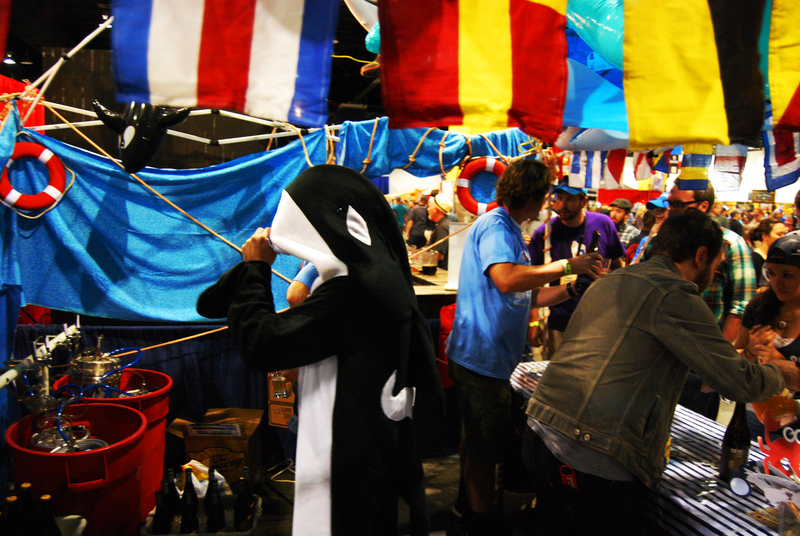 I will admit, though, Bell’s very similar nautical theme from Great Taste of the Midwest was executed much better. Awarded to booths with consistently great-to-outstanding options. It also helped they were very close to each other. Funky Buddha brought the heat, with their spot-on peanut butter and jelly brown ale – and winner of last year’s Waiting For Godot beer – No Crusts, Morning Wood, their barrel aged Maple Bacon Coffee Porter, and Last Snow, their coconut and coffee porter, and my clear favorite. No wonder there was always a line. But not so with Fremont, who brought Bourbon Abominable (or B-Bomb) and Coffee Cinnamon Bourbon Abominable, their barrel aged takes on their Abominable winter ale. While good, they’re still not my favorite from them, which happens to be bourbon Dark Star, their barrel aged imperial oatmeal stout and my overall favorite BA oatmeal stout out there, with a lovely balance of bourbon and stout and a nice flaked oatmeal finish that makes you want to take another sip. I was consistently amazed that Fremont never had a line with that line up. Everyone saw way too much of that sign. What’s one way to tell a brewery has brought a consistent line up to the fest? It runs out every day, and quickly at that. 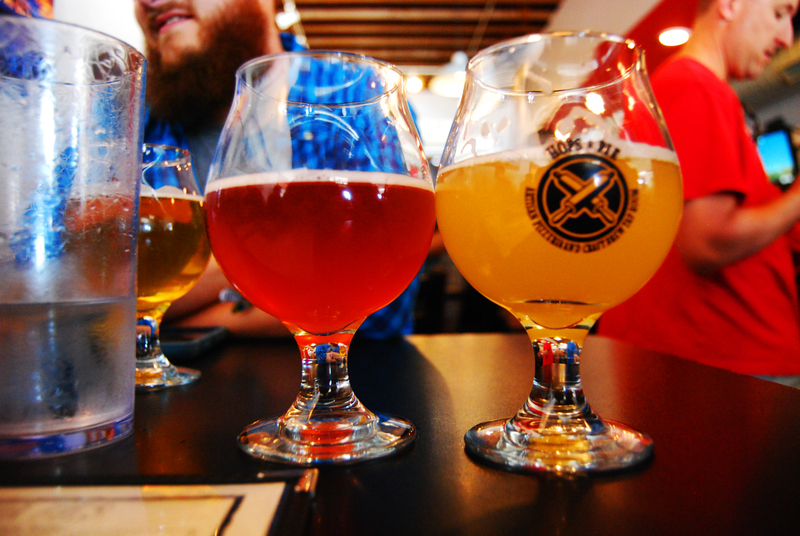 James Howat’s “side-venture” from his regular gig at Former Future Brewing Company had Funky Buddha-type lines every day, until they ran out of all 3 beers they were pouring. How quickly though? Well, we interviewed James for our episode at around 7:30 PM and they had completely run out, so they were available for about half of the session. James takes great care in his process and ingredients, and the results show that care. 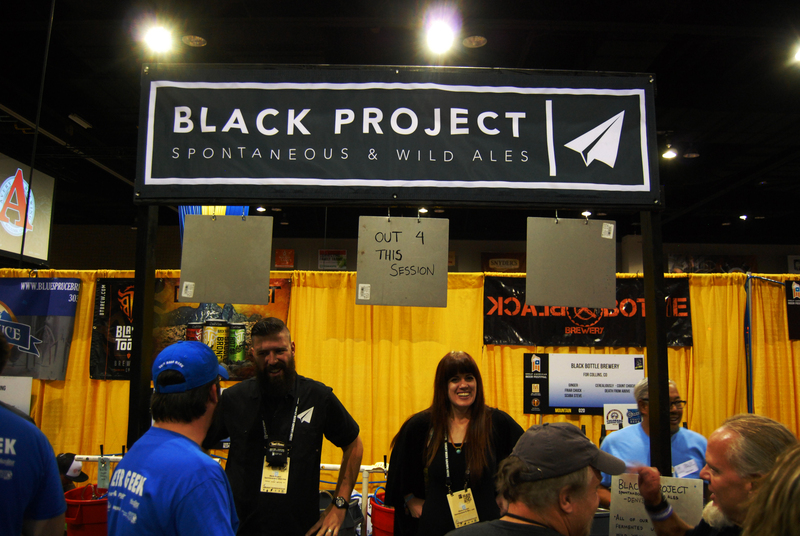 Black Project was pouring Dreamland, a sour golden ale; Wine barrel aged Blueberry Dreamland, their Dreamland aged in a red wine barrels with blueberries; and Lancer, a barrel aged honey sour. All 3 were delicate and not overly acidic, with the BA Blueberry Dreamland being the most acidic. Definitely a brewery to keep your eye on. The entire Melvin crew, celebrating their win for Small Brewpub of the Year. I never once waited in a line at the booth, despite them winning three big awards. How are people still sleeping on them? 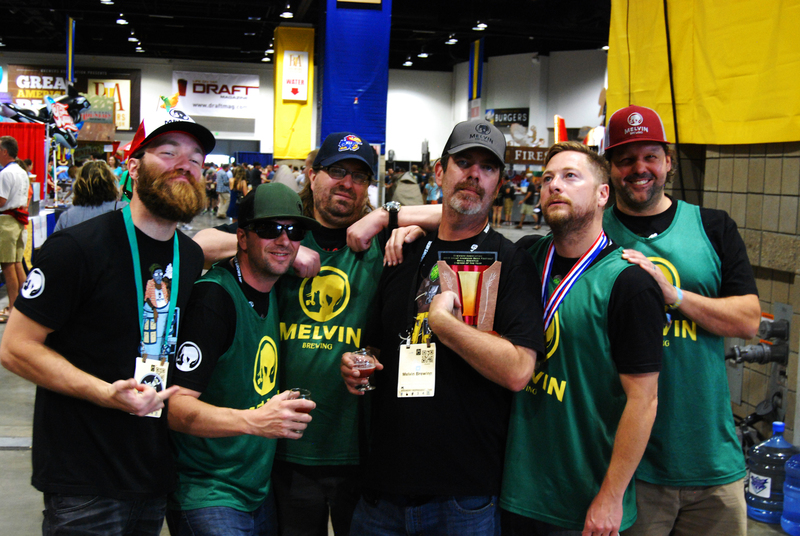 Formerly Thai Me Up (and still serving out of that restaurant), Melvin Brewing brought the thunder again to GABF. While last year’s offerings were more diverse (2X4 DIPA, 4X8 TIPA, Chchch-Cherry Bomb fruit beer, and Melvin IPA), they parsed it down to just the 2X4 (which they list as a “Quadruple Pale Ale”) and Chchch-Cherry Bomb and added a fresh hop 2X4. Top that off with their win for “Small Brewpub and Small Brewpub Brewer of the Year” and Melvin had a very successful GABF, and rightfully so. Only complaint would be that, based on the quality of what I’ve had from them, I would like to try more of their beer at the fest. But don’t run out of 2X4. A Berliner Weisse with mango, guava, and passionfruit, this 3.6% ABV fruit cup was a joy to drink again and again. Not too tart, either, so those that love a refreshing fruit beer without that Berliner puckering quality, this is it.